Xstrata comes out on top of the list for 2010. The vision and messages are very clearly communicated, with a good balance and relevant data support. Points for improvement are the large amount of data presented per slide and the lack of consistency in terms of naming. 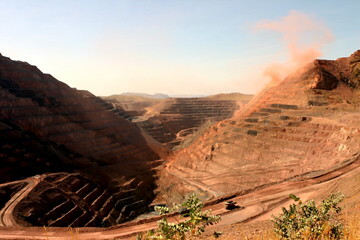 Rio Tinto comes in second. The storyline and key messages are convincing, leaving the investors with a clear sense of direction. The presentation is clearly made by professionals, although slides are sometimes a bit crowded and bullet lists lack coherence. Major point for improvement is the data support for the messages: too often the graph presented does not prove the slide’s message. Anglo American’s presentation is a visual mess, with taglines and (standard excel) graphs spread all over the pages. Still, in some way, it gets the three key messages and the board’s vision clearly across. Balance between business units and financial part is perfect, although the key messages per business unit are sometimes unclear. If Anglo manages to have some professionals work on the presentation next year, they might be on top of the list. BHP Billiton’s presentation is in some aspects the opposite of Anglo American’s. It looks great, but if you try to understand what the board wants to communicate, you will be lost if you don’t listen to the webcast. Taking into account that a large audience of investors will download the presentation without the audio file, this is a serious shortcoming. The few messages that are stated are mostly well supported by data. However, supporting the message “we are well positioned” with a map of the Australian coal district will not convince anybody. Vale’s presentation will have disappointed most investors. There are three key messages, but the relationship between the three is not explained. Most statements are not supported by relevant data. The presentation is a visual chaos, with distracting visuals and completely irrelevant pictures throughout the deck. Best quick fix for Vale will be to bring in a good strategy consultant, but for the long term they will need to build a professional organization. Detailed results are presented in the table below. In general investors were relieved by the performance of the companies, each of them showing an increase in share price. Share performance in this period is led by Xstrata (+14.0%), followed by Rio Tinto (+9.8%), Vale (+9.3%), BHP (+8.3%) and Anglo American (+8.4%). Price fluctuations on the day of investor presentations were +6.5% for Xstrata, +3.6% for Rio Tinto, +3.4% for Vale, +4.7% for BHP Billiton and -3.6% for Anglo American. Clearly, the share performance following the presentation is a very weak signal of how the deck is perceived. One might argue that investor’s expectations of the board’s ability to put together a convincing presentation is included in the price already. However, the investor’s trust in the overall performance of the board will certainly be influenced by the performance during the investor presentation. Five data points are by far too few to draw any statistically significant conclusions. Still, it is interesting to note that the benchmark results are in line with the share performance for the reporting period. Only Vale has managed to impress the investors more than their deck would suggest. Concluding, the major mining firms all have clear opportunities to improve the impression they make on investors. Delivering a professional presentation will have impact on how the executive vision, communication and professionalism are perceived. This might be the easiest way for the executives to gain trust of the investor community. Would like to comment? Use the comment button below this blog article.